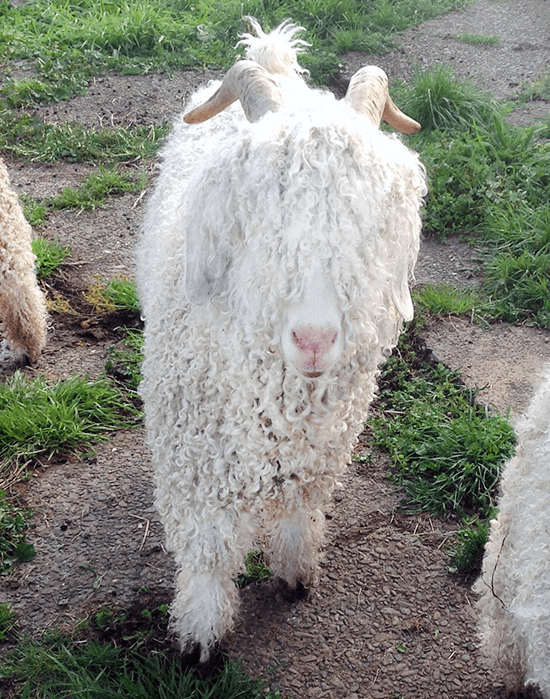 Angora goats originated from Asia Minor and down the centuries they settled into a Turkish area called Ankara which is where the name angora was originated. Angora’s were introduced into New Zealand in 1867. Captain Cook was the first European to bring goats to New Zealand. 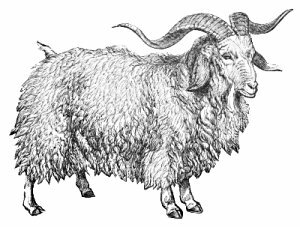 Mohair is grown by Angora goats and possesses some valuable properties. Lustre is one of the most important and is the natural sheen of the fibre caused by light being reflected more directly by the larger outer scales of the fibre. Mohair dyes easily creating brilliant colours due to the lustre of the fibre. The lustre also helps dyed mohair resist fading making it very hard wearing. A unique characteristic is the solid twists or ringlets in the mohair structure which can be stretched or twisted without damaging the fibre. The result is that it is the most durable of animal fibres and hence garments will resist wrinkling, stretching or sagging during wear. Mohair is almost non-flammable and when place near a naked flame will tend to shrivel into a kind of ash and will stop burning instantaneously when taken away. The mohair fibre also possesses great strength and is resistant to soiling due to the slippery fibre. This means that dust etc can be easily removed with a shake or brushing. Kid mohair is the finest and is what we use in our Mohair Yarn. The result is a luxurious soft hand knitting yarn that comes in a brilliant range of colours. Our mohair is proudly grown, spun and dyed in New Zealand.